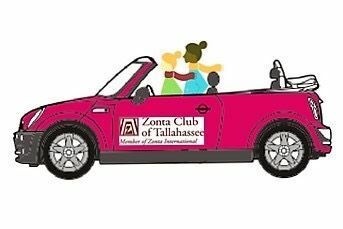 The Zonta Club of Tallahassee (ZCT) is a member of Zonta International, a global organization of professionals working together to advance the status of women worldwide through service and advocacy. The club meets monthly September to May. A calendar of meetings and events is available at the bottom of this page. Welcome to the Zonta Club of Tallahassee! As part of Zonta International, our Club works to empower women and girls in our community through numerous service and advocacy projects. This year, we will continue our partnership with Refuge House to serve victims of sexual violence, with Hope Community to contribute to the elimination of homelessness among women and their children, with PACE to serve as mentors to young women working hard to improve their lives through education, and with the Survive and Thrive Advocacy Center (STAC) to prevent and promote awareness of human trafficking in our community. We are happy to add Girls on the Run this year to our service projects. Hope Community Service Project also added the young ladies of the Department of Children and Families Fostering Success Program as recipients to their services as well. To accomplish these efforts, our members raise funds for and individually participate in these organizations, among others. My theme this year is "we have the drive to make a difference in the women and girls in our community"! I know we will touch the lives of many in our community and will continue to make a difference in the lives we come in contact with. We meet the 3rd Tuesday of each month from September-May at 11:30 am at the Capital City Country Club.